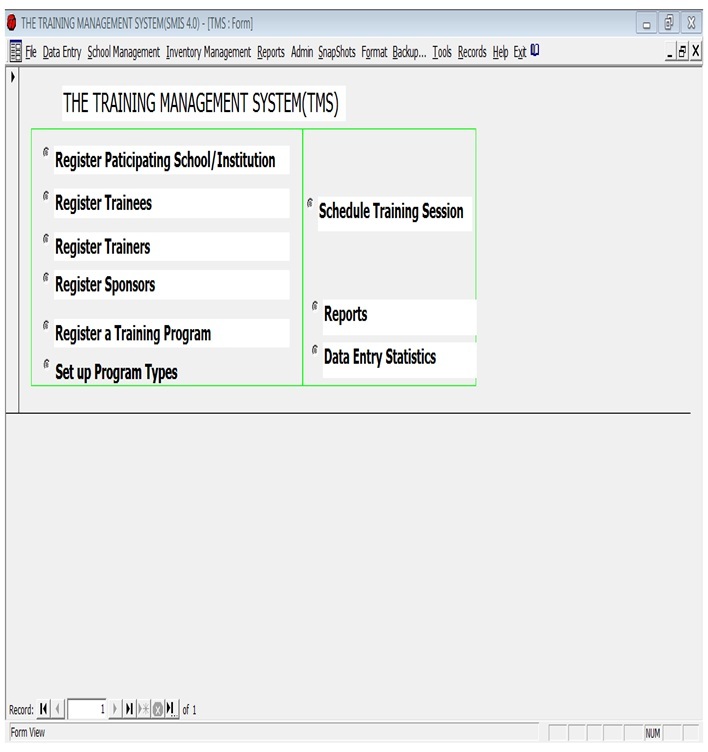 This is a system for Institutions and NGOs which regularly organise training workshops for different groups. Often a time these institutions are accountable to funding agencies, and hence the need to take record of their activities, such that eventually necessary statistics are generated for reporting purposes. Also it is important for these institutions to assess the impact of training to the benefitting groups say in terms of poverty reduction, job creation , fighting diseases and political awareness.